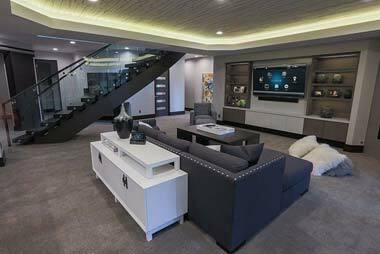 Watch your favorite movies and sporting events from the best seat in the house; from the comfort of your home theater. You can count on the experts at Today’s Home & Leisure Products in Mechanicsburg, PA to design and install your home theater that delivers an experience not unlike being there. The concept of home theater is not new. The idea is to recreate the ambiance of a movie theater by incorporating projectors, screen and sound elements with audio equipment in a dedicated space. This involved expense that many people were not prepared to expend. In time, manufacturers developed HDTV’s in the form of flat panels; AV gear, such as home theater receivers to deliver 5.1 or better surround sound for family rooms and multi-use spaces. Although this has allowed many families to enjoy the home theater experience; dedicated home theaters today include Hi-Definition screens and projectors that deliver images with sharp, brilliant colors. To complement this visual experience, Dolby laboratories engineered audio equipment to produce better audio such as Dolby ATMOS 7.2.4 surround sound which can be enjoyed in our dedicated theater at our showroom. 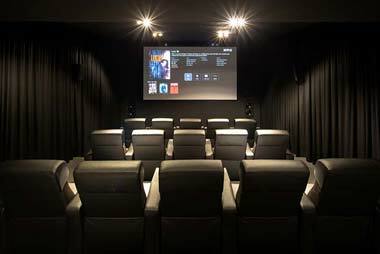 Advances in technology have given us more choices for home theater systems, and some find that a home theater is quieter and more convenient than a movie theater, with picture and sound that match a movie theater. 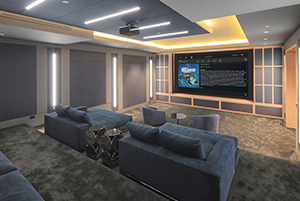 We at Today’s Home and Leisure Products in Mechanicsburg are known for years of experience in design and installation of home theaters with lighting and sound systems. Our experts will design, program and install a high-performance home or commercial entertainment system that’s elegant in design and simple to operate.